Alen Air Purifiers were created by Peter Mann. His son suffered from asthma and he was forced to watch helplessly as his son endured asthma attacks. He could not help his son. The medicine the doctors gave the small boy proved ineffective and led to many side effects. Peter knew that he had to find a better way. He began a journey to help, not just his son, but people everywhere to breathe easier. Alen Corporation was started in 2005 with this goal in mind. They wanted to improve indoor air quality so people could live better lives. Alen Corporation strives to provide people with air purifies of the highest quality and that use the latest technology. All this while offering a reasonable price. Alen is also the only air purifier company that offers a lifetime warranty. Alen air provides multiple filtering in their air purifiers. They use HEPA, Ionizer, UV light, and Photo-Catalytic Oxidation. By combining these technologies, Alen air purifiers remove almost all of the harmful particles found in indoor air. 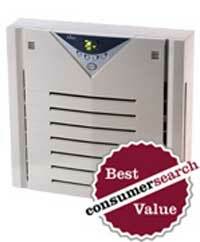 These air purifiers are also certified lead free and ozone safe. 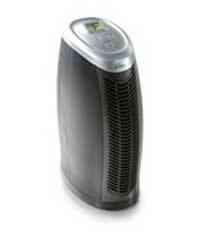 Alen Air purifiers use HEPA filters. They call it a new "Silver Ion HEPA Filter." This filter is coated with Silver Ion. This keeps germs from growing in the filter and being released into the air. These filters are advertised to remove 99% of bacteria, 50% of flu virus, and 99% of airborne allergens. In case you are wondering, while siver ion kills bateria, viruses, and germs, it is completely harmless to humans. HEPA (High Effeciency Particulate Air) filters remove 99.97% of all particles .3 microns in size from the air. For comparison, a hair on your head is about 60 microns. .03 microns is too small to see with your eyes. 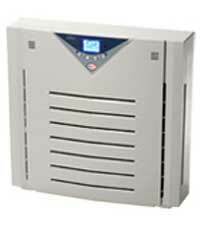 These HEPA filters get rid of mold, bacteria, viruses, dust, pet dander, and pollen. 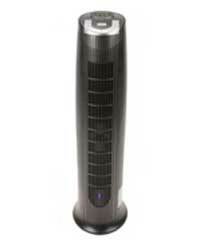 Some Alen Air purifiers use UV filters to kill bacteria found in the air. Bacteria is found everywhere. Most of the time it is harmless to humans, but some kinds of bacteria can cause staph infections, pneumonia, and E Coli. These are very dangerous. The UV light is also part of the Photo-Catalytic Oxidation system. This is a method to remove chemical pollutants and odors from the air. You can read about Chemical pollutants on our Air Pollution page. Some common chemical pollutants are smoke, ammonia, glue, paint, plastics, and more. These are commonly called VOC (Volatile Organic Compounds.) Left inside a room without ventilation these chemicals can lead to many health problems. Normally these chemicals and/or odors are removed with charcoal filters. These drawback to charcoal filters is that they trap the chemicals. The problem is that the gases could be released later. Alen's Photo-Catalytic Oxidation technology safely destroys the chemicals. Don't worry the UV light is in the inside of the air purifier to prevent anyone from getting hurt. This gets a little sciency in the explantion. Let's just say that negative ions in the air are a good thing. However, ionizers alone are not very effecient at removing particles from the air. When you combine HEPA filters with ionizers the effeciency is improved. Ionizers can emit ozone. Ozone has been found to be unhealthy in large amounts. Alen air purifiers are ozone safe. This means that the do not produce enough ozone to hurt humans. Here are 5 Models to Choose From. This is Alen Air's smallest air purifier. Weighing in at only 8 pounds, it really is very portable. 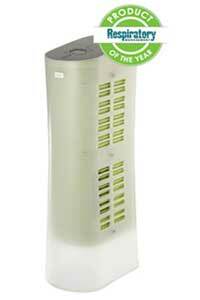 This is a great air purifier for a small to medium size room. Yet it is still very portable. Alen Air combined a stylish design with great peformance in this tower air purifier. This is an affordable and efficient air cleaner from Alen Air. It has a HEPA filter. It is perfect for soemone with allergies. This is the A350's BIG BROTHER. It does everything the 350 does. It also does a better job filtering out chemicals, smoke, and odors. It comes with remote control.